Ready for your guests this holiday season? We aren’t talking about your great uncle, either. We are talking about the unwanted household guests that come crawling in through the tiny cracks and crevices of your home. One word: roaches. There’s nothing like a nice cozy fireplace, hot cocoa, warm blanket…and a roach crawling up your leg. Whatever the pest may be, Eco Tech has you covered. Serving all of Woodbury, MN, Eco Tech is a Minnesota natural pest control service that is ready to take your rodents away, as safely and efficiently as possible. There’s nothing worse than feeling invaded in a place that you should be comfortable in, like your home. Your home is your sanctuary so when those creepy crawlers get into your residence, it can make you feel nasty and helpless. So when you make that call to an exterminator and they tell you that they are going to have to spray toxic chemicals into your house and you have to evacuate your children and house pets, does that really make you feel any safer? We didn’t think so either. At Eco Tech, we use products that are not going to harm the environment or the animals within it. 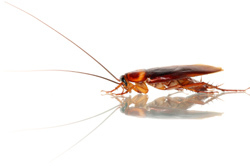 We will eliminate your pest problem efficiently, but we will do it safely. This means no synthetic poisons and your child and pets can play safely within their home. When you discover a pest problem, we know that you want it solved quickly. We are flexible and can work around your schedule so that you get this problem fixed as fast as possible. We have a 24-hour service number for emergencies. Once we arrive, our highly trained team member will come out and inspect the home. They will identify the specific pest problem you have, determine their point of entrance, find an effective treatment plan to eliminate the problem and keep it from reoccurring. Once a plan is agreed upon, we will exterminate the pest, or pests, and repair the damage that the pest may have cause. Lastly, we will prevent this problem from happening again by repairing the point of entry where these critters got in. If you live in Woodbury, MN, Eco Tech can help you. We can’t keep the unwanted human guests from coming into your home for the holidays, but we can certainly keep out the pests! Call Eco Tech today at 763.785.1413.